Cricket mania is round the globe! The fan following is overwhelming and this boosts the players’ morale to play fine and claim victory. However, when it comes to elevating the energy level of the cricket players, it is not just about the encouragement of the fans or proper practice sessions that adds to the confidence levels of the players. There’s something else that plays an equally important role. The cricket jersey – for the players, it’s much more than their uniform. It’s an extension of their self. Hence, if you own a cricket team that is all set to play at a state or district level then it is important to take the cricket sports jersey design process seriously. Cricket jerseys should reflect the team mission – It is essential to convey to the manufacturing house you choose to partner with, about your team’s mission and philosophy for it to translate the same to the jersey. Each colour and design in the jersey needs to resonate with the players at an emotional level. Cricket jerseys should show team and players name visibly – Amidst all the attractive design and colour combination, it is important that the jersey highlights the team and the player’s name visibly, as it acts as a point of identification. 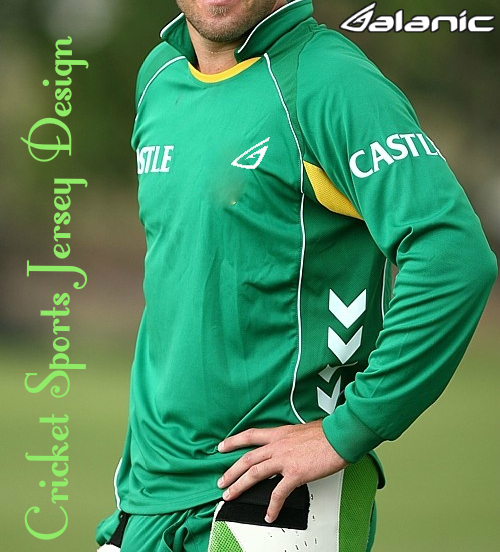 Cricket jerseys should be comfortable to wear – Since the jerseys are worn for long hours it needs to be manufactured using premium blend fabrics like cotton and polyester so that it is comfortable and offer complete body flexibility. Today there are reputed manufacturing houses specializing in wholesale international sports clothing that can be contacted for bulk orders by sending in an email.